Your doctor will order to have your pacer checked regularly to make sure that it is working correctly and that the settings are right for you. The process of checking your pacemaker’s settings is called an interrogation. The strength and length of the impulse is sent to the heart muscle and how fast the pacemaker will go can be programmed. Your doctor or pacer technician will check your ICD regularly to make sure that it is working correctly and that the settings are right for you. Your doctor will check to see if you had any irregular heart rhythms or if the ICD gave you any therapy (like a shock). There are no preparations for an interrogation. If someone is touching me when I am shocked, will they too receive a shock? How are the specific parameters for my ICD measured and changed? How long will my ICD device and leads last? What happens when the ICD battery becomes low? What should I do if I hear “beeping“ from my ICD? What should I do if I feel a thumping in my chest? What should I do if I notice my ICD incision is red, swollen or that fluid is leaking from the incision site? hat are the recommendations regarding driving with an ICD? Can an ICD prevent a heart attack? Does an ICD treat other heart rhythm abnormalities like atrial fibrillation? What type of interactions may occur with my ICD and a microwave, cell phone, store security devices, airport security or arc welding? The ICD contains a computer chip that can be evaluated and reprogrammed in a painless manner. By using a hand-held device placed over your clothes, on top of the ICD, we can retrieve information about the ICD battery, leads as well as alter specific features for your ICD. A typical ICD battery life is 5-10 years. The ICD leads have a longevity of approximately 7-10 years. Both the battery life and the performance of the leads will be monitored through frequent evaluations by your Cardiologist.Either remotely or by an at home monitoring Device. When the ICD battery is measured low through routine follow ups, you will be notified and scheduled for replacement of the ICD generator. Replacement of the ICD generator is a simple outpatient procedure.The leads will be tested to make sure they function properly. After testing, the leads are connected to the new ICD pulse generator, tested and the pocket is closed. The entire operation often takes less than an hour. If you hear an audible “beep” from your ICD, please contact the office, Monday – Friday 8:30AM – 5:00PM at 407-990-9121. 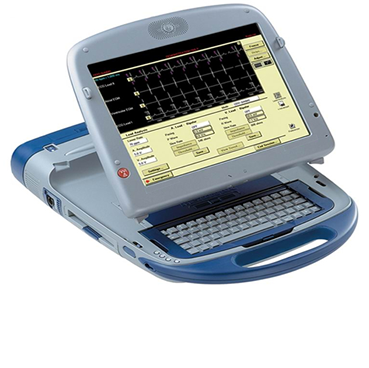 There are many defibrillators that emit a tone when there is a parameter that needs to be assessed. In general, this is not an emergency. Friday 8:30AM – 5:00PM at 407-990-9121, but this problem usually does not require a visit to your emergency room. If you have these symptoms or changes along your ICD incision, we believe that it is important for you to contact your Cardiologist to evaluate the ICD. This may be a simple matter of minor blood collection within the ICD pocket or it may be an early sign of an infection. After an ICD is implanted, many patients are correctly concerned about their ability to safely operate a motor vehicle. Guidelines regarding when to return to driving are dependent upon why the device was implanted and whether the implanted device is a pacemaker or defibrillator. No, an ICD cannot prevent a heart attack, A “heart attack” is due to a blockage in the blood flow to the heart muscle. An ICD is designed to treat rapid heart rhythms from the bottom chamber of the heart as well as excessively slow heart rhythms that are treated with pacing therapies. However, an ICD does not treat rapid heart rhythm problems from the top chambers of the heart, such as atrial fibrillation. There is no interaction between a microwave and an ICD. We would prefer that you use a cell phone on the opposite side of your ICD but, in general, the likelihood of complications between an ICD and cell phone is quite low. When going through airport security, it is important that you inform the airport security personnel that you have an ICD. You will need to show your device ID card and you should be asked to be hand searched. An ICD pulse generator may be sensitive to anti-theft systems often found in stores and public libraries. These systems will not adversely affect the ICD if you walk through them in a normal manner without lingering near them. Arc welding can interfere with the function of an ICD, but this interaction depends on the type of arc welding that is performed. If you use an arc welder, please discuss this issue with your electrophysiologist.